A detective drama, Whitechapel airs on BBC America here in the states but the cable channel has yet to announce when or if they will air the fourth season of six episodes. That batch finished airing in the UK on October 9th. What do you think? Have you watched the Whitechapel TV series? Should BBC America run the final season? More about: BBC America TV shows: canceled or renewed?, Whitechapel, Whitechapel: canceled or renewed? This is a brilliant Series – Better than most of the drivel on TV as it also contains Historical Facts Cray Brothers, Jack the Ripper, Ed Gein etc. Please finish the Whitechapel series. It was brilliant. I enjoyed the series. I was looking fitters to watching season 5. Then going out it’s cancelled when I googled the next air date. I would’ve liked to see what happens with the old lady. I would love to see more seasons of Whitechapel. Love the program! So sad to read that this show will not return, or at least air a finale to help answer the unanswered. To leave fans hanging makes me always look first to see who was responsible for other well liked shows. If I see a trend, I won’t bother with anything else they put out. 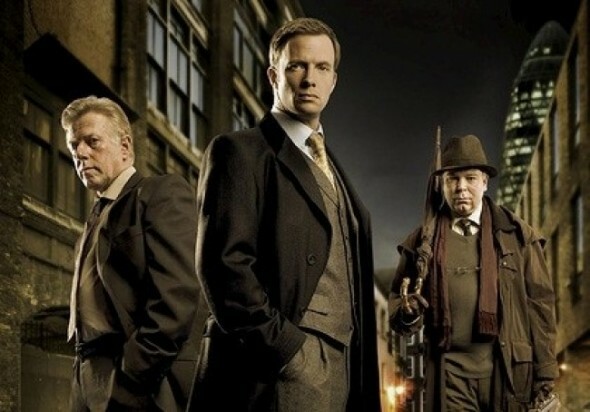 Just began watching Whitechapel on WLIW-21 and think it’s one of the best written and acted British mystery/dramas I’ve ever seen. It’s a shame they canceled the show after only 4 seasons. I enjoy it so much and wish they’d bring it back ASAP! So much better than anything American TV produces. I loved White Chapel. Please bring it back!! PLEASE bring back Whitechapel! I just binge watched all four seasons in three days @ Amazon Video. It was great! Why did you cancel it without giving the watchers some closure?! I really enjoyed the stories but mostly the impressive ensemble cast. Not a weak one in the cast. It seems that every time I invest myself in a BBC America show, it gets canceled. The same happened with Copper, another terrific cast. I would really like the opportunity to view the last 6 episodes of Whitechapel. I have to agree completely with all the comments. I loved Whitechapel and Copper!! Every time I love a British series — they cancel it. I refuse to watch the awful nonsense on America’s ABC, NBC, and CBS networks and find myself continually looking for quality television elsewhere. They always cancel the good shows. It’s incredibly frustrating.